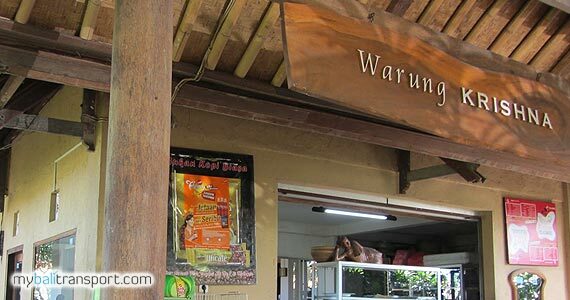 Warung (a small restaurant in Bali) named Warung Krishna (instead of Krishna or khrisna) has been established since 1999, with an open air building called Wantilan and shady trees surround this eating place. Make visitors feel at home and enjoy the delicious dishes that are served. Seating with antique tables, you can choose from in wantilan or rear building. No Menu or drink list will be offered to you. 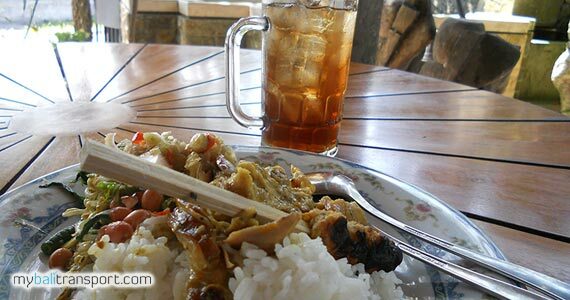 Dish served here is Ayam Betutu (grilled Balinese chicken) with gravy and vegetable Balinese ointment. 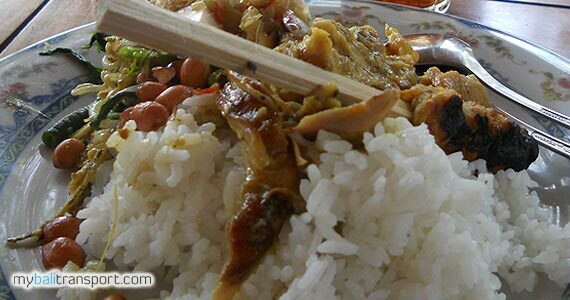 Coupled with Balinese Eggs boiled, fried peanuts, chicken satay, fried chicken and Sambal Matah (uncooked Balinese spicy). And do not miss the chicken soup with Bali herb aroma. 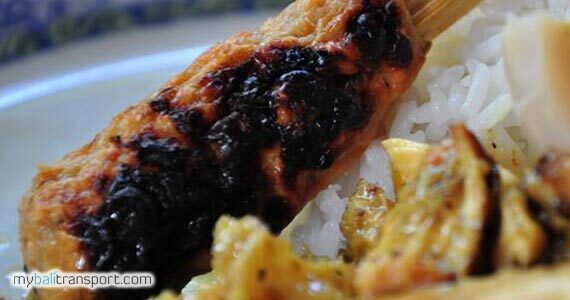 You just ask the option to served with Rice or Tipat (Balinese rice cake inside of woven coconut leaf) or porridge mixed with the above chicken. 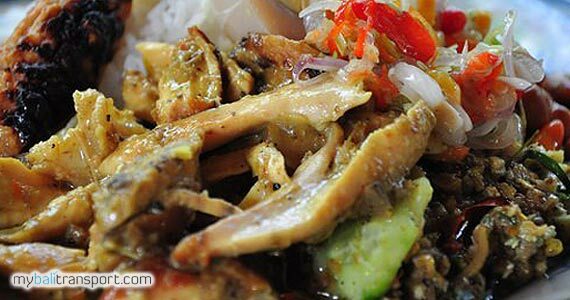 For those of you who first tasted, guaranteed tongue will taste the freshness of the spices chicken, cooking process using complete Bali herbs. For beverage, they can provide a warm or cold tea also warm or cold orange juice. There are also other small foods in addition such as crackers , chips, and other typical Balinese snacks you can buy separately. 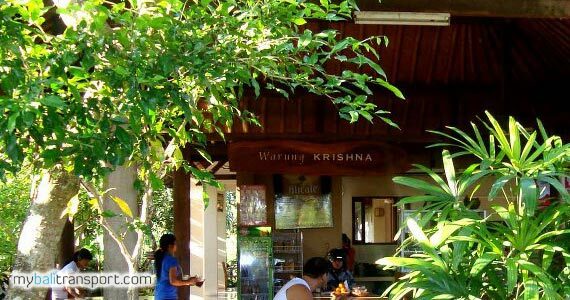 Warung Krishna Sanur Bali open daily from 07.00 until 17.00 (except Balinese holiday). Just be crowded when the time for lunch. And porridge is only available in the morning time. Visitors who come not only local people, but also domestic tourists and foreign tourists. 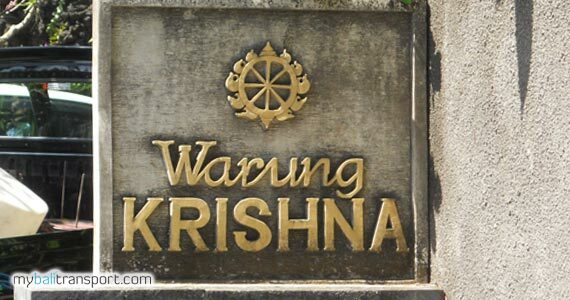 The location of this Warung Krishna is located at Jalan Kutat Lestari No. 4, Sanur, Denpasar, Bali. 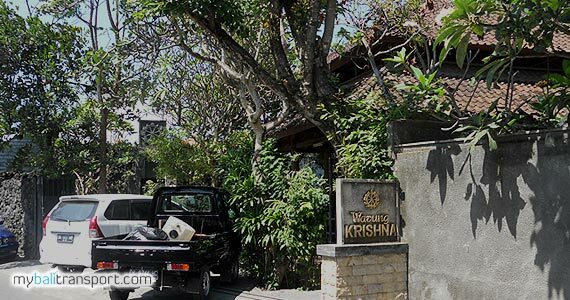 If you come from the direction of Dewa Ruci statue, Kuta, take direction toward Sanur, approximately 4 kilometers to the left of the road you will see the contractor's office Tunas Jaya Sanur. After this office, there is an intersection Red Light then left into Jalan Tirta Nadi. Turn, and straight on passing the SMK 3 Denpasar, until the T-junction. From here turn left, Warung Krishna is 10 meters after the turn.